How to Scan Websites & Blogs for Malicious Code to Avoid Hacking? If you will look around and research on the internet, you will find so many websites and Blogs that are infected by some malicious code or have been hacked. In most of the cases, hackers place such codes in your website that can help them get into the settings of your website and hack it whenever they want. Those hackers are very clever to use such attributes in codes due to which a website owner will never get to know about any trespassing. If you are not sure what is embedded in your website in the form of code then Google will definitely get to know about it. However, once you figure out that there is something fishy going on with the internal health of your website, you need to get it scanned and rule out of any chances of having some malicious code in it. How to check if you have malicious content on your website and blogs? A friend of mine got hacked recently not one time but two times in a row. For the first time when he got over that issue, he was happy that the problem is over but after a few hours, his website was hacked again. That is when he realized that the hacker had left some malicious code on his website and that was giving that hacker a backdoor to enter into this site and hack it over and over again. In order to find a malicious code on your website, you need to take a look at the source code. If you are not a developer, ask your web developer to take a look at the code and find out anything that is not supposed to be there. How to Remove Malicious Links from Websites and Blogs? After figuring out the problem or code that is causing your website to get hacked, change the entire source code of your website. The simplest thing that you can do is to rewrite the parts in which hackers had embedded their code. Now upload the new source code to your server so your website can become free from any malicious codes. After doing all these things, you need to take preventive measures in order to keep your website safe from hackers in future. Keep in mind that if you will not set up high security on your site, any hacker will be able to find a backdoor in order to enter your site and change things the way he wants. 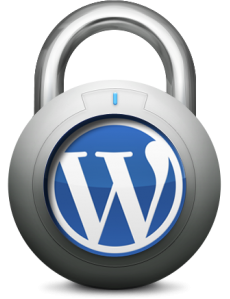 If you are running your website on WordPress then you can use different plugins to check your website for any malicious code. Some of the best plugins are described below. TAC – This plugin can check the authenticity of your theme. Install this plugin to scan all the themes that are present in your database to rule out any malicious code that may be present in those themes. Antivirus – This is very easy to use WordPress security plugin that can easily scan your themes and other files for malicious codes and remove them.